John Davis is one of the most requested drivers by DATTCO’s clientele. His values are customer driven, and he works tirelessly to provide exceptional value to every customer. DATTCO’s veteran motorcoach operator, John Davis, was presented with Connecticut Bus Association’s prestigious “Motorcoach Driver of the Year” Award. 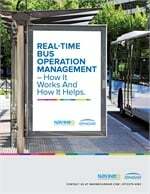 The award was presented during Connecticut Bus Association’s annual dinner last month. Davis’ career as a motorcoach operator spans more than three decades and over three million miles driven. For the past 21 years he has worked as the official driver for the Hartford Wolfpack, the American Hockey League’s team based in Hartford. He has driven every single one of their trips, every year since 1997. Davis is one of the most requested drivers by DATTCO’s clientele. His values are customer driven, and he works tirelessly to provide exceptional value to every customer. Davis has been named DATTCO’s Driver of the Year twice. Recipients of this award are chosen based on their excellent history of being a safe driver, having excellent customer service skills and professionalism, and courtesy exhibited while working with the company’s team and clients. David is a committed advocate to the industry as a driver mentor. As new drivers begin work with DATTCO, they receive a warm welcome and a helping hand from him. 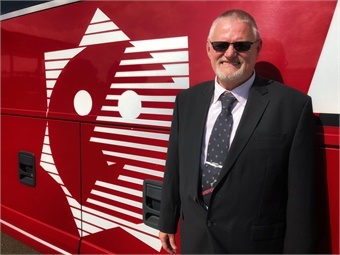 For more than 10 years, he has been mentoring the company’s drivers, using his vast experience to help them adjust to, and navigate their way through, all the different aspects of the job.